State Rep. Bill Adolph (R-165), in a terrifying talk, told the Springfield Republicans, tonight, April 15, that the tax hike in the budget proposed by Gov. Tom Wolf would be the largest ever imposed on the Commonwealth of Pennsylvania. He said the $33 billion proposed budget would increase spending by 16 percent and the ways he is proposing to fund it would add $8 billion in taxes. Wolf wants to hike the personal income tax to 3.7 percent from 3.07 percent and raise the sales tax to 6.6 percent from 6 percent but the real devils are in the details. Adolph pointed out that Wolf is seeking to expand the sales tax to services such as day care and nursing homes. The callow cruelty of such a suggestion can only come from one who has never had to worry about such things which in Wolf’s case would be himself. Adolph said that the property tax reform proposed by Wolf would benefit 96 of the state’s 500 school districts while burdening the rest. He said Springfield residents can expect to spend an extra $8 million in taxes under Wolf’s plan. Adolph noted that there are more sensible reforms regarding property taxes and he expects them to come up in May. Adolph said another significant but ignored point concerns how Wolf wants to handle corporations. 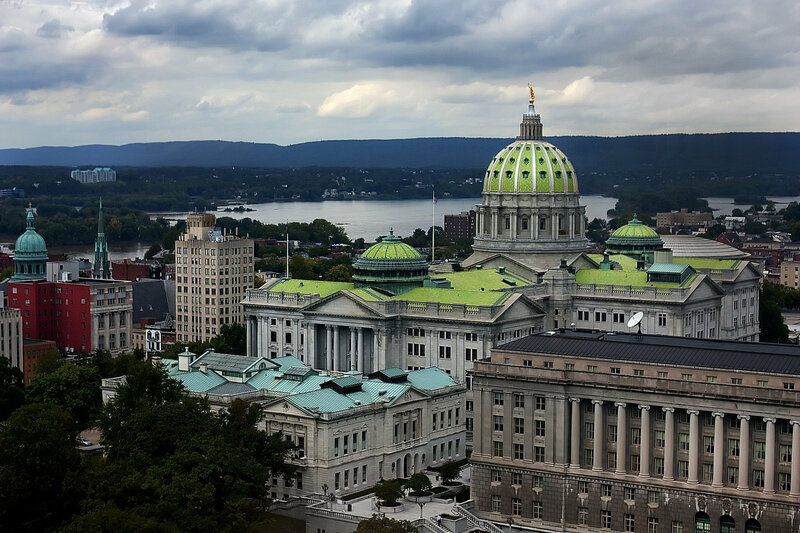 Wolf’s idea is to require combined reporting businesses headquartered in Pennsylvania. This is a method of taxation that treats a parent company and its subsidiaries as a single corporation for state tax purposes. Adolph said he has been told bluntly by several major businesses that they will move from Pennsylvania if this happens. State Sen. Tom McGarrigle (R-26) also addressed the group and while his talk was much shorter it contained better news. He said the senate will soon pursue pension reform in the way advocated by Sen. Pat Browne (R-16) who chairs the Appropriations Committee. Browne wants to change all state workers to 401-K type plans not just new hires. The existing defined-benefit plans are getting retired workers up to 80 percent of their salary and rising. This is unheard of in the private sector. McGarrigle said such a change would likely be tested in courts but considering the existing pension fund deficit — it’s $50 billion — it’s in the self-interest of those with money vested in the program to go along. County Councilwoman Colleen Morrone, who is seeking re-election, noted that the Marcus Hook refineries that were closed four years ago are now both open and that county policy played a part in saving them. Mrs. Morrone is also CEO of Goodwill of Delaware and Delaware County, Inc. Township GOP Chairman Mike Puppio noted that the former ConocoPhillips refinery purchased by Delta Airlines is making a profit and is being expanded. In political matters, Puppio said that the only race being contested in his bailiwick in the May 19 primary is Springfield’s 1st Ward Commissioner race and that the endorsed candidate is incumbent Ed Kelly. He said he expects the Democrat County Council candidates to manage to get the 250 write-in votes needed in the primary to be on the ballot in November. The Democrat slate was knocked off the ballot after failing to provide the required documents to the proper people. Puppio said if they can’t follow those details they can’t be expected to follow the details in a $500 million county budget. Springfield Commissioner President Jeff Rudolph of the 4th Ward said the new pool at the township Country Club is beautiful and has water jets for kids, lap lanes for adults, and a diving tank. He also praised the new lights on Saxer Avenue. He noted there was no township tax increase this year.